Sophie Turner is a British child actress. 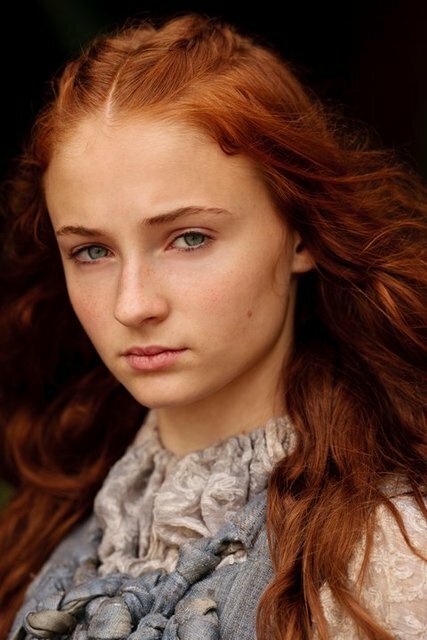 For her first role in front of the camera, Turner currently stars as Sansa Stark, the eldest daughter of House Stark in the 2011 HBO fantasy TV series Game of Thrones. The natural blonde actress dyes her hair red for the role, which she says lets her avoid attention in public. Whole or part of the information contained in this card come from the Wikipedia article "Sophie Turner (actress)", licensed under CC-BY-SA full list of contributors here.